Well maintained & equipped home is located on a quiet cul-de-sac close to community amenities, and boasts magnificent lighthouse views. 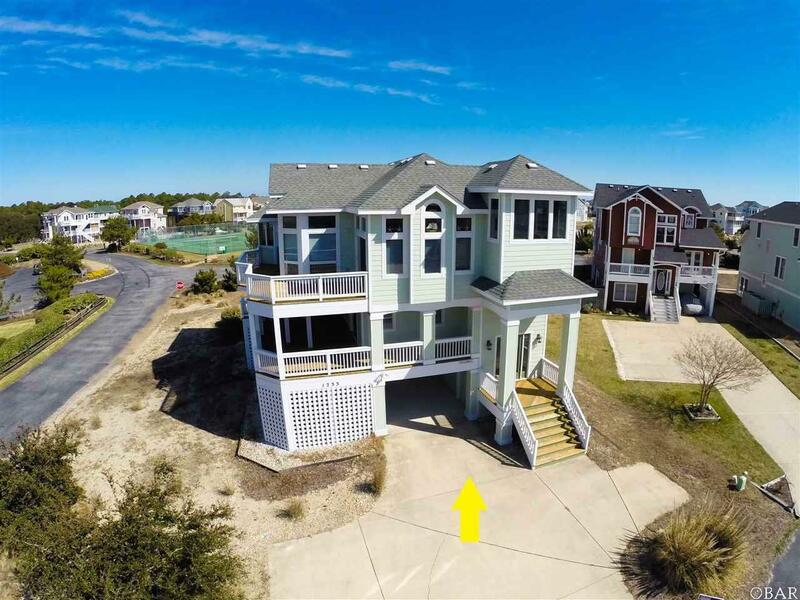 The upper level features a spacious greatroom with gas fireplace and entertainment center, dining area, kitchen, ships watch w/panoramic views, a half bath, master bedroom, screened porch and open sun deck. The middle level offers a second master bedroom, two bedrooms sharing a full bath, and covered deck with hot tub. On the ground level, a fifth bedroom, full bath, gameroom with wet bar, and direct access to large patio with private pool. Community amenities include two pools, tennis courts, fitness center, community path throughout the subdivision, playground, county bike/walkway, nature walkway through the sanctuary & beach access. Close to the four wheel drive beaches, shops, restaurants & sights in Historic Corolla Village. Association Amenities Health ClubOcean AccessOutdoor-Comm. PoolOutdoor-Comm. TennisPlayground Association Fee Includes Common InsuranceManagementPoolRoad MaintenanceTennis CourtsWalkways Association Fee YN Yes Bank Owned YN No Estimated Annual Fee 1866 Financing Options CashConventional Flood Zone X Full Subdivision Name Villages At Ocean Hill Lease Terms Weekly Possession At Closing Potential Short Sale No Primary Residence YN No Rental Cottage Name Seaglass Cottage Residential Type Single Family - Detached Sewer Septic Municipal Sewer Tax Year 2017 Taxes 2482 Water Municipal Zoning Res.